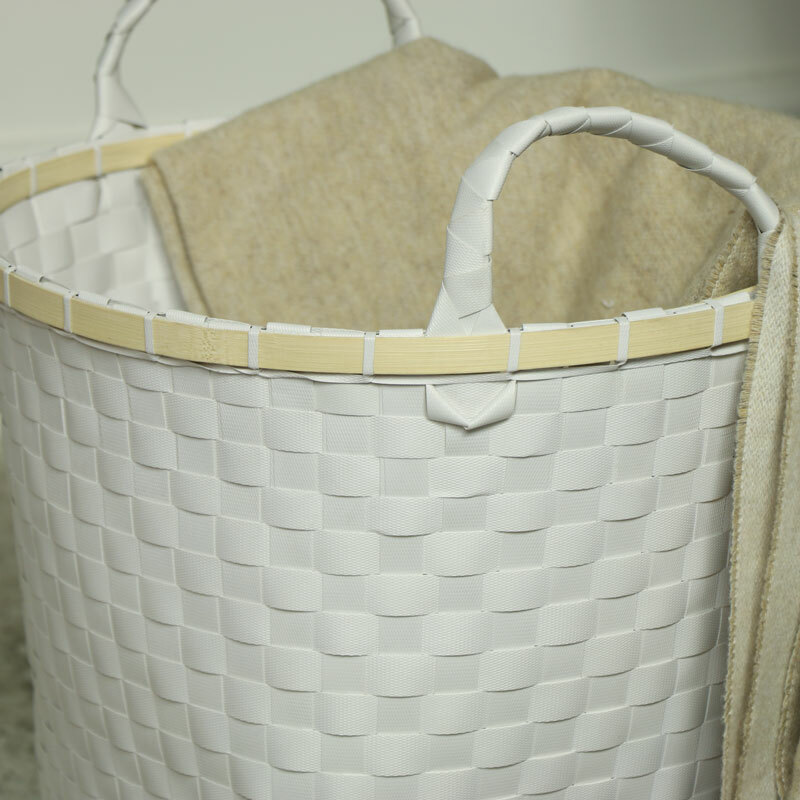 Laundry basket in white woven fabric, ideal for keeping clothes tidy and organised. Also available in more sizes. Perfect for use as a laundry hamper, ideal for children's bedroom and will also make great toy storage. Ideal for carrying clothes and toys from room to room with the handles. 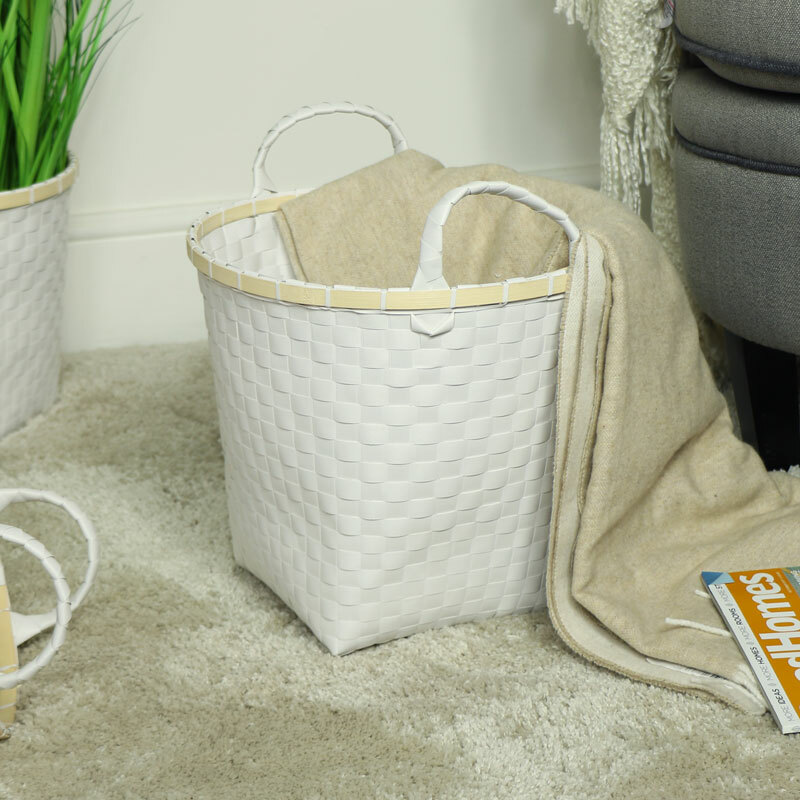 Laundry basket in white woven fabric, ideal for keeping clothes tidy and organised. Also available in more sizes. Perfect for use as a laundry hamper, ideal for children's bedroom and will also make great toy storage. Ideal for carrying clothes and toys from room to room with the handles. Made from woven polypropylene plastic material in a white finish with wooden rim to help the basket keep shape. Great gifts and home accessories that will suit all tastes. With gifts ideas for everyone in one handy place.